The New Orleans Pelicans visit the high flying Denver Nuggets in the final matchup of the season between the two Western Conference teams. The Nuggets are coming off a loss against the Utah Jazz in a tightly contested game, whereas the Pelicans won in Phoenix and will be playing their second game of a back to back. The Nuggets are the second best team in the Western Conference and have a 42-19 record. They are 4 games ahead of the third-placed Oklahoma City Thunder and also hold the tie-breaker between the two teams. After this game, the Nuggets will go on a three-game road trip. Nikola Jokic is having an MVP-calibre season for the Nuggets. He has been dominant as a scorer and a playmaker for his side. He has received good support from Jamal Murray, while Malik Beasley has also been very effective on both ends of the floor. The return of Isaiah Thomas has added bench depth for the Nuggets as well. The Pelicans have a 28-36 record and are the third worst team in the Western Conference. They don't look like a playoff team and have lost their way in recent months. Anthony Davis is expected to be rested for this match after playing against the Suns. Davis has been on a minutes restriction ever since his trade request. On the other hand, Julius Randle and Jrue Holiday have been superb for the Pelicans. New Orleans Pelicans: Elfrid Payton (PG), Jrue Holiday (SG), Kenrich Williams (SF), Julius Randle (PF), Jahlil Okafor (C). 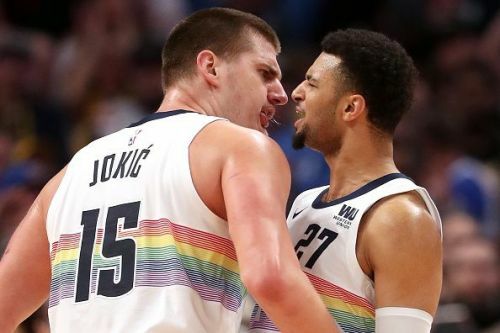 Denver Nuggets: Jamal Murray (PG), Malik Beasley (SG), Will Barton (SF), Paul Millsap (PF), Nikola Jokic (C). The Pelicans don't look like a playoff team and have lost their last four matches in the Mile High City. The Nuggets have been superb at home and will be looking for a win after a tough loss against the Jazz. I expect the Nuggets to come away with a comfortable win in this match.